Compatible with any Bluetooth Smart Ready device on iOS or Android -App-enabled lights allow you to choose colors, effects, play games, and pulse your lights to the music you choose on your smartphone! Dorm Co. Tip: Customize the lighting in your college dorm room with our App Controlled lights! You don't want your college dorm room to look like everyone else's on your Residence Hall floor. You also want your college dorm room to be ultimately comfortable with cool dorm room decor. And of course, you want it to be a cool looking and relaxing hangout place for you and your friends to talk, listen to music, watch movies, or play video games. One of the ways you can create a cool looking dorm room decor is through dorm lighting such as Christmas lights. Dorm lights do more than help you see in your college dorm room! They can also help you create some awesome dorm room decorations. 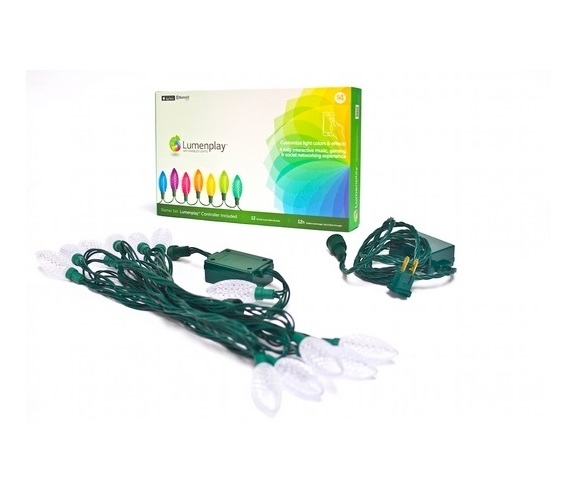 For awesome dorm room decorations, look no further than our Lumenplay Starter Light String With Controller! Here at DormCo, we love innovative college supplies that make living in a dorm room better and also make your dorm room feel like home. 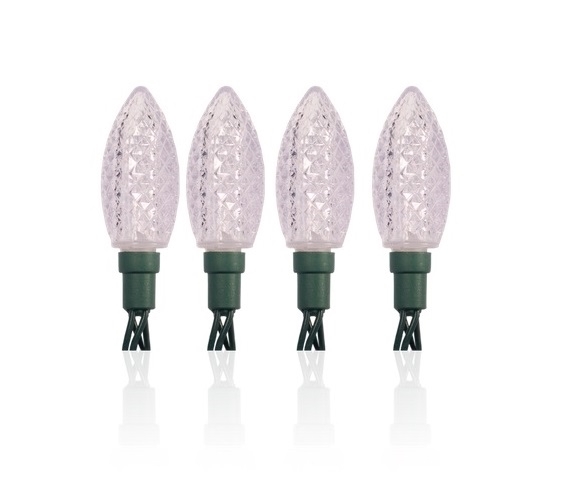 It may not seem like dorm lights can be very innovative, but our Lumenplay Starter Light String is! 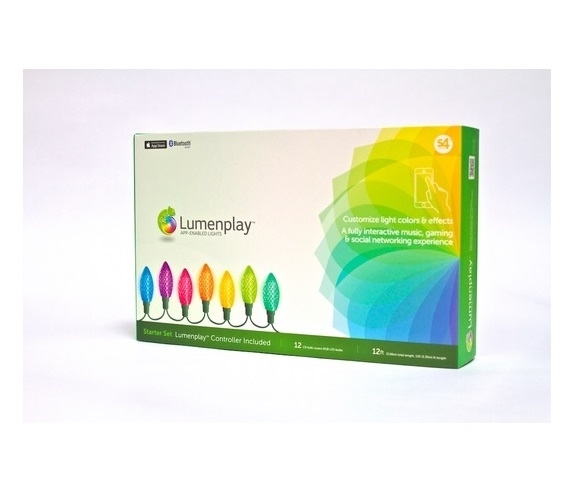 Our Lumenplay Starter Light String is a must have dorm room gadget. To start with, it has classic clear faceted light bulbs on a green wire. The bulbs are classic, but the technology behind them is oh so cool and we think you'll agree. These will soon be one of your favorite dorm items. 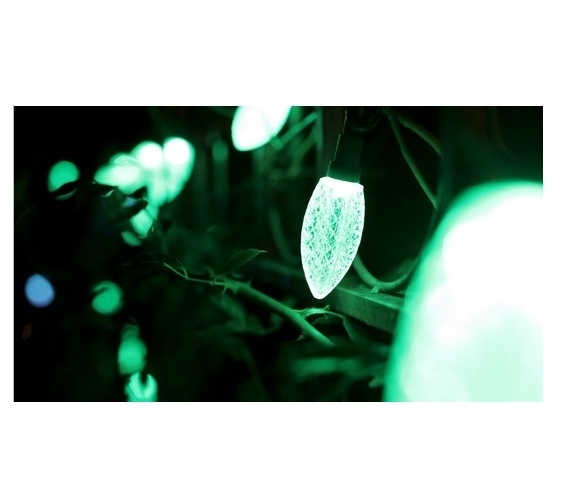 These Lumenplay Starter Light Strings have a controller and are compatible with any Bluetooth Smart Ready device on iOS or Android operating systems. These dorm essentials connect with the Lumenplay App on your phone so you can control the Lumenplay Dorm Lights in your college dorm room. And by controlling the lights with the app, we don't mean you can turn them on and off with your phone. We mean you can control every little thing. You can choose from over 16 million colors in the color palette on the Lumenplay app and customize how every single bulb in the Lumenplay Starter Light String looks. You can even choose and create effects with the lights and play games and one of the coolest features is that you can pulse these dorm necessities with the music on your smartphone. No, not pre-loaded music on the app - you can pulse it with your favorite band or song! And when you find the perfect song and effects, you can speed up the lights, slow them down, or change direction - whatever you want to make the lights look super cool with your music and then you can save your perfect light mix, name it, and play it when your friends come over! This is ultimate dorm room decor - you have the ability to change your dorm lights every day if you want to. Want your dorm lights to highlight a color in your Twin XL Comforter one day and a different color the next? You can do that! Plus you can even string multiple strands of these college supplies together with the Extender light string for even more dorm room decorations! With these dorm lights, you don't have to settle with just one color strand throughout your college life. With these dorm essentials, you can make your college dorm room a super cool place to hangout and also have the ability to change your dorm lights whenever you want to! When you have the perfect song and effects, speed up the lights, slow them down, or change direction - you can even save it and name it!